Amidst the frenzy surrounding the Swarthmore men’s basketball team unprecedented run to the final four and into the Division III national championship game these past few weeks, Swarthmore’s spring sports spent their spring breaks competing and training against and with top teams from across the nation. Since the start of the semester, Swarthmore’s spring sports teams have won an outstanding two-thirds of their games, and spring break continued the trend, with almost every team posting a winning record. Notably, the No. 5 ranked Swarthmore men’s baseball team travelled to Punta Gorda and Port Charlotte in Florida and put together a 7-3 record on the trip, while also knocking off the number one team in the country, Wooster, in a dominating 13-6 performance. It was Jack Corkery ’20’s first start of the season and he delivered, throwing eight strikeouts over six innings and holding Wooster to only two earned runs. Late surges in the 7th and the 8th propelled Swarthmore over Wooster and secured the historic win. The team has benefited from strong batting performance from their junior class, as Holden Bridge ’20, Jared Gillen ’20 and Cole Beeker ’20 all are batting over .400. To conclude their trip, Sawyer Lake threw a shutout game, holding Ohio Wesleyan to zero runs while Swarthmore’s batting squad picked up twelve. Also in Florida were the women’s’ lacrosse and tennis teams, who both had successful spring breaks. The women’s lacrosse team won both the games they played in Clearwater, Florida over the University of Lynchburg and Piedmont College. Kyra Hall ’22, Eleanor Miller ’22, and Megan Ruoff ’22 scored their first ever collegiate goals in the game against Piedmont. Senior Kathryn Restrepo ’19 excelled over the break as well, assisting on four goals against Lynchburg and scoring two of her own against Piedmont. Alongside the winning came plenty of time relaxing and enjoying themselves in the Florida heat according to Miller. “After practice one day the coaches treated to us to ice cream from an ice cream truck that stopped next to our field,” Miller said. Women’s tennis put together an impressive spring break as well in Lake Cane, Florida, as the previously unranked Garnet elevated themselves to an impressive 15th in the country after defeating the 12th ranked WashU of St. Louis. The match was incredibly tight as four of the six singles matches went to ten-point tiebreakers in the third set, with the Garnet winning three of them. Elise Talley ’21 clinched the win at six singles, winning 10-8 in the ten point tiebreaker. The win for the Garnet was backed up by another tight win against Millsaps College a couple days later where Elise Talley again clinched the win, this time in doubles partnered with Christina Wang ’22 at the second spot. Look for the Garnet to continue their winning streak in an important Centennial Conference match against rival Johns Hopkins this Saturday at home. Women’s tennis’ success was not replicated by the men’s team however, as the men put together a 1-6 record on the trip to Claremont, California, including an 0-3 record in the Stag-Hen Invitational at the end of the week. Although the team as a whole lost repeatedly against nationally ranked opposition, the number six singles spot whether Noah Criss ’22 or Evan Han ’19 slotted in, won every match against opposing teams. Unfortunately, not much else went right for the Garnet, as numerous 0-3 sweeps in doubles led to large deficits for the singles lineup to make back up. A highlight of the week came in the match against the 14th ranked Pomona-Pitzer team as the Garnet went up 2-1 in doubles behind a dominating 8-4 performance from John Lathrop ’21 and Evan Han ’19 at two doubles. Unfortunately, the Garnet could not close the deal in singles, as Noah Criss ’22 and Simon Vernier ’19 lost in third sets. 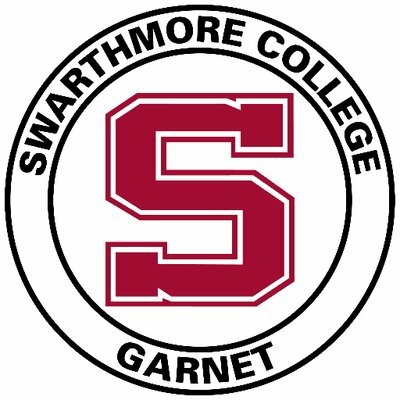 The Swarthmore men’s tennis team is likely to be unranked this season after an impressive ranking of 19th to end the 2017-2018 season. This year figures to be a rebuilding year for the Garnet as it marks the first year under new coach Jason Box and the first year without the vaunted class of 2018 headlined by Mark Fallati’s ’18 record 60 career singles wins. Looking forward, the men’s tennis has another tough weekend coming up, as they face-off against highly-ranked Amherst and Brandeis in Massachusetts, and further down the road, important showdowns at home against conference rivals Haverford and Johns Hopkins. Men’s lacrosse and the co-ed track team had comparatively light spring break loads, filled mostly with training and a single game and meet respectively. Men’s lacrosse won their game in Texas, defeating Southwestern University 17-13 behind a pair of hat tricks from Ryan Mulvey ’19 and Mason Evarts ’21. The time in Austin was a bonding experience for the team according to Jack Ballou ’22. “We spent out free time touring the University of Texas football stadium and paddle-boarding and the time in Austin was filled with great memories and team camaraderie,” said Ballou. The track team also spent a lot of time bonding and enjoying themselves in Myrtle Beach, South Carolina. “Besides running daily, the team spent their time playing mini-golf and frisbee, and making daily trips to Krispy Kreme,” said Brendan Penfold ’22. Spring break was an exciting time for Swarthmore athletics, as some teams put together some incredible wins while others enjoyed themselves and found success in limited competition. For most teams, the spring break trip while providing important competition, served mostly to tune-up the team for the more important matches later in the season. The trips allowed teams to singularly focus on competing for the first and only time all year and provided a space for athletes to come together as a team.